Kevin Rudd, Prime Minister of Australia, said in 2007: “I believe this is an extremist cult and sect,”[and “They split families and I am deeply concerned about their impact on communities across Australia.”. The Exclusive Brethren were accused of providing over half a million dollars to the campaign of George W. Bush, another half-million to the campaign of New Zealand National leader, Don Brash, and large amounts to the campaign of Australia’s John Howard. The Brethren Church claims it has never engaged in political activity. Individual citizens, they claim, have the right to express their concerns and encourage principles which they support or believe are right, although Exclusive Brethren do not – as a matter of principle – vote. The media attention on the brethren has been particularly active in Australasia. In 2007, the Australian Broadcasting Corporation current affairs television program ‘Four Corners’ aired an investigation into a claim of secret campaigning by the Exclusive Brethren alleging that church elders had met with both the then Australian Prime Minister John Howard and the Treasurer Peter Costello and had allegedly provided them with their support. [ The program revealed that the Brethren had a vigorous and largely untold political history going back at least to 1993, and provided evidence of a trail spelling out how its members have spent millions in state and federal elections and overseas, including the USA. Controversy over the Brethren also revolves around the practice of “shutting up”, where families or persons are confined to their homes, this is used to punish members who break rules. “END-TIME” CONFUSION ABOUNDS. But the Scripture tells us “God is not the author of confusion” (I Cor. 14:33). Yet when it comes to proper end-time direction, Dispensationalist churches almost universally exude mainly the spirit of confusion and contradictions. Many well-known scholars warned that the teachings of dispensationalism were “unscriptural” (Spurgeon), “heterodox” (Dabney), “bizarre doctrine” and “grievous error” (Warfield), but the warnings went largely unheeded. “ An invisible Coming and pre-Tribulation Rapture is not found in the Bible. Before 1830 the belief in an invisible Return of Christ and a pre-Tribulation Rapture was unheard of in the public discourse of the Evangelical Church. No one today has independently studied the Prophetic Scripture and come to any such conclusion on their own. Every new believer must be taught this solely from Darby’s theology in order to believe that there will be an invisible return of Christ and a pre-Tribulation Rapture. 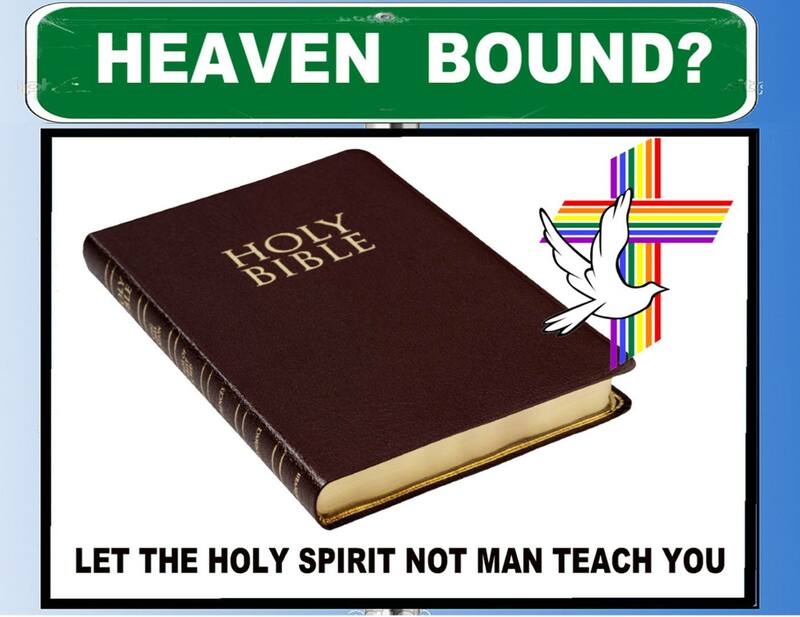 This teaching cannot be derived directly from the Bible because it just simply is not there. Jesus never taught it, the Apostles never taught it and the Hebrew Prophets never taught it. In fact Christ Himself as well as Paul clearly warned us against being fooled into believing in a secret Coming or a pre-Antichrist/Apostasy Rapture (Matthew 24:26-28 and II Thessalonians 2:3-4). The Apostle Paul said, “…learn not to go beyond what is written.” II Corinthians 4:6. If Darby’s invisible Coming and pre-Tribulation Rapture cannot be found anywhere in the Word of God it has to be categorized as mere speculation and must be considered an unbiblical doctrine. And though some refer to the prophecy of Daniel that “knowledge shall be increased” (Daniel 12:4) as proof that the revival of doctrinal truths will occur at the end of the age, this is not what Daniel meant. If you read the prophet carefully you will find Daniel was speaking that “the knowledge” of his prophecies will be increased, not the revival of general doctrines. In the original text of Daniel, the definite article occurs before the word “knowledge.” Daniel said “THE knowledge will be increased,” and the text shows he meant “the knowledge of his prophecies.” Daniel was in no way speaking about a renewing of doctrines at the Time of the End. These warnings from God’s word are a reminder that we should exercise caution in accepting the truthfulness of visionary revelations, particularly those near the end of the age, and which are contradictory to one another and to the Bible. The Pre-Tribulation Rapture Theory is such a doctrine; a teaching with no scriptural warrant. After all, the Holy Scriptures makes it plain that the first resurrection (when Christians from the past have their resurrections and we are caught up to heaven with Christ) occurs after the Tribulation is over (Revelation 20:5). And though a number of people within the Body of Christ have taken up with this false doctrine, it is time to jettison it from Christian belief. We are to even prove our translation of the Bible, but on the other hand we are to avoid foolish and unlearned questions. If the blind lead the blind, we are to leave them alone. The only thing we can do is preach the truth, we are not to debate but preach the truth. We are told to prove all things. I questioned the Lord about this and He told me that all truth can be proved by two or more scriptures saying the same thing. If we have two or more scruptures to stand on we have the truth that cannot be shaken. Why Does God Chasten And Scourge Us? All Truth must be proved by two or three scriptures! In God’s wisdom, He did not leave use without a way to prove all truth. By scriptures saying to us the same thing, over, and over again the same thing, we have a true witness to the truth of what God is saying to us. As we study the Old Testament, we see the ten commandments repeated over and over again. The purpose in this was because God had told the people in Old Testament that by the witness of one man, a man, or woman would not be put to death by one witness, but by the witness of two or three witnesses a person would be put to death. The Same is true in New Testament, by one man’s witness we will not be put to death, but the New Testament has a witness for every truth, therefore we are without excuse, all we have to do is find the two or three witnesses that it takes to reveal truth to us. Without us believing the scriptures, we will never receive the gift of the Holy Ghost. (Not Holy Spirit!) that unlocks the scriptures to us that we might “see” by the Spirit the things that God wants us to see. 8 Blessed are the pure in heart: for they shall “see” God. 3 Finally, my brethren, rejoice in the Lord. To write the same things to you, to me indeed is not grievous, but for “you” it is safe. (1) Finally, my brethren, rejoice in the Lord. To write the same things to you, to me indeed is not grievous, but for you it is safe. (14) Behold, the third time I am ready to come to you; and I will not be burdensome to you: for I seek not yours, but you: for the children ought not to lay up for the parents, but the parents for the children. So why do some people falsely push the Rapture? | Missing the point? You are a Messianc Jew? | Missing the point? What Happened to the promised land? | Missing the point? In the New Testament the emphasis is now solely on the heavenly Jerusalem.. | Missing the point? Did you also know these truths? | Missing the point? The false Plymouth Brethren – Dispensationalists | Missing the point?